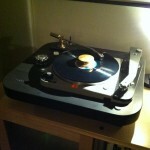 Home > Blog > Music Thoughts > Audiophile > Vinyl vs CD – It’s a Battle to the Death!!! Vinyl vs CD – It’s a Battle to the Death!!! So, this should be a quick blog post, right. Everyone these days seems to have come full circle back to the discussion that began in ernest in the 1980’s. Which is better? Vinyl? CD? Well, I am here to announce the official results! There is a definite answer, which is enclosed in an envelope sitting in front of me. Okay, are you ready? That’s right, I said yes. Yes is the answer to which format is better. Not the answer you expected? Allow me to explain. There are a crazy amount of variables involved in music production. Think about all of the parts of a stereo, CD player, turntable, and the hundreds of manufacturers making these items, times that by differences in living rooms, and squared by the difference in the shape and qualities of people’s ears (no joke, it counts). Okay, how in the hell is anyone supposed to declare a winner? I have a few insights as to why I feel the answer is “Yes”. In my opinion and experience, one format can indeed come out on top of the other in particular cases. Here’s what I’m talking about. First, let’s start with how vinyl can be a winner and also a loser. The rear tonearm is for stereo, and the grey tonearm on the right is used for mono LPs. Let’s attempt to compare an album that was recorded and pressed in 1960 to its digital version that was just released on CD this year. As we hop in our handy-dandy time machine and meet the recording engineers in person, we learn that these guys were the supermen of the recording world in their day. They were much in demand and working like crazy. They have a TON of experience getting as accurate a sound as they can get for the dominant medium of the time- vinyl. As they set up their mics, they’ll tell you about what they’re going to gain or lose as the sound hits the tape, then what’s going to happen when the sound hits the vinyl lathe. “Hey, that’s a weird place to put a mic” an engineer from 2013 might say, but that guy probably doesn’t have the experience setting up for an all analogue mono recording session that’s being pressed to vinyl (unless of course he’s over 70 years old). So, we jump back into our time machine (which just got a parking ticket sitting in front of the Vanguard for a few hours. Nice to see NYC hasn’t changed), and encounter the next issue– tape degradation. Mister engineer from 2013 wants to re-release that 1960s session he was just listening to. Well, the engineer forgot to get a dub of the session to bring with him in the time machine, and we can’t go back due to the parking ticket, so we’re stuck in 2013 with 60 year old analogue tape. Okay, I got a bit crazy with my Sci-Fi story. In a nutshell, a good quality original pressing vinyl recording will sound better than a CD reissue because the vinyl was made from the fresh tapes. The CDs are dubbed from 60 analogue tape, which is starting to get a little funky. Some of my favorite Sam Jones! Another factor in the CD reproduction is whether or not the people making the transfer to digital take the time to re-master the tape for CD, or maybe they think they know better than the original engineers and decide that they can do a much better job mixing the session. Grrrrrr, THAT one gets me every time. 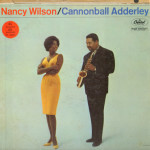 You have to hear the difference between the original Cannonball Adderley – Nancy Wilson on mono vinyl compared to the CD release. Holy cow, the CD engineers ruined the recording! They remixed the session and made it sound like Nancy is singing in a phone booth outside of the studio. Of course, original pressing vinyl can indeed sometimes come out as the loser depending on which generation of the pressing you come up with. I’m not going to dive into the details now, but basically they would put the master plate on the press and make a series of records, then pop in a new master plate after the old one wears out. If you get a first or second pressing of an LP that was made with a fresh plate, it would sound better than the later generations, even for an original pressing run. Oh, and it goes without saying that you need a copy of the original pressing that has survived 60 years of ownership in tact. The good news is there are many excellent first pressing LPs still available and priced within your budget. For instance, that Cannonball LP I mentioned was only $8 on eBay for the original Capitol Records release. Now here’s why a CD can come out on top. Whenever I have new people over to the house for a listening session, this discussion always comes up. I decide to let the vinyl do the talking and set up a double blind test- vinyl vs CD. As I mentioned, anything that was originally recorded for vinyl always wins the competition. However, that doesn’t mean all CDs are garbage. Quite the contrary. After listening to all of the great vinyl I own, I’ll pop on a modern recording on CD and BAM– the ooohs and awwwws take over. Why is this? Well, for starters, todays engineers have been working in digital environments for decades now. They know where to place a mic to get the best sound out of digital. It’s also easier to make a consistent product– no more generational issues or pressing problems. It’s digital. It’s a copy of what was captured at the studio (Almost. More on that in a second). There is one myth that, if I can’t completely dispel, I will at least make you consider. Some people often say that the bass is much better on CDs compared to vinyl. While it is true that you need to tightly control the bass on vinyl due to the nature of cutting the grooves into the platter, I have many LPs that have GREAT bass on them. You can indeed get the bass out of vinyl like you can on CD. Of course, the better the turntable, tonearm, and cartridge (stylus), the better the bass response. It seems to me that the basic difference between bass frequencies on vinyl and CD stem from people’s perception of the bass in the 21st century. People want more bass. Engineers are mixing the bass hotter than they did in 1960. 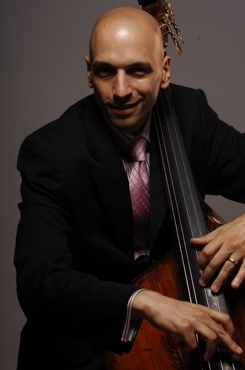 We’ve become accustomed to hearing the bass better thanks to technological advances in the instrument itself and advances in live amplification. Unless you’re buying brand new music on vinyl, chances are your collection stems from recordings from the early 1980s and beyond where they didn’t pump up the bass like they do now. That said, I absolutely loath the engineers who have decided to crank up the bass on the CD rereleases of older recordings, but that’s a whole other topic to write about. I have many modern CDs that sound amazing, but I can still hear the disappointing short falls of the CD medium. For instance, cymbals sound too crunchy to me. I can’t hear the warmth of a ride cymbal like you can in person. On vinyl, you can hear more of the wood in the stick in the sound, the warmth. Newer recordings on CD, however, have significantly closed that gap. It’s better, but that aspect is still trailing vinyl. Just as original vinyl sounds better than the modern reissues, modern recordings released on both CD and vinyl simultaneously sound better on CD. I have both versions of a bunch of recordings that were released on both vinyl and CD in the last few years. I’m not going to name any names, but in each case I prefer the sound of the CD over the vinyl. Why? There are various reasons. In one case, whoever mastered the vinyl probably had little experience doing so. The inner groove distortion on the first side was out of control. Maybe I got a bad pressing, or maybe it was because he put a really densely orchestrated tune as the last track on a side, where the circles of the groove are much tighter and harder to track. I have a fairly amazing turntable and even I had a hard time tracking that tune. That’s more of a problem with inexperience and not necessarily a problem with the vinyl format. Still, that is indeed something to consider with modern vinyl. Whatever the reason, bad sound is bad sound. I now search for reviews of new vinyl releases before I buy them to make sure that there was an old guy in charge of the vinyl release! The future of digital music is here. But wait, Phil! I thought that you said the CD comes out on top sometimes? Well, maybe this shouldn’t be a competition between vinyl and CD, but a competition between vinyl and digital. The CD is just the first commercially successful digital medium. The MP3 was next, but that was a huge step backward in terms of quality for the benefit of saving hard drive space. You may or may not know that a CD is actually a compromise in sound. Just like an MP3, it’s technically a “lossy” format, which means that some musical information had to be left behind in order for the music to fit on a CD. Early in it’s life, a group of people got together and decided how big a CD was going to be and which frequencies us little ole humans needed to hear. For an ordinary person, it probably doesn’t make much of a difference. To a musician, well, we can hear what’s missing. Like everything in life, there are plusses and minuses. Here’s what happens when you record a CD. When you record in the studio in the studio these days and you’re planning on pressing CDs, you capture the music into a computer at a sample rate of 96K-24bit (I’m generalizing. There are other sample rates people use, but you’ll see where I’m going with this). After you mix the project, you send it to a mastering house where the mastering engineer dithers it down to what they call “Red Book CD” quality, which is 44.1K-16bit. Yes, you are understanding this correctly. They throw out more than half of the sound that was captured. What’s left out? Well, what ever musical information scientists think we can’t hear. However, a lot of people can indeed hear the difference. At this point in time, though, musicians and engineers are now asking the question “Why?”. People are downloading music now, not spinning it off of CDs, so why stick with the limitations of the CD? Enter HD Audio. I have another Blog Post about this topic already, so I won’t dig into it too deeply here. Basically, you can now buy a lot of your favorite recordings as 96k-24bit digital downloads. I use HDTracks.com mostly, but you can sometimes buy recordings direct from artists. For instance, I have my latest tribute to Scott LaFaro available directly from this website as a 96k-24bit download, as well as my Tri-Fi’s last two recordings. What’s the difference? Well, when I compare Chick Corea’s Light as a Feather on the original vinyl to my 96K-24bt digital download of the record, it’s hard to tell the difference! The gap is finally closing between the digital and vinyl realms! You still have the problem of tape degradation for the older stuff, but at least the digital world is beginning to release files that contain more musical information rather than less information! Sadly, most people who dismiss vinyl don’t understand vinyl. 1) It has cracks and pops. Well, first of all find a good copy of the record. Second, learn how to clean it. Finally, get an anti-static gun. Don’t store them in your garage lying flat. Keep them inside of your house, in the shade, and standing up on their side. If you have a few warped LPs, there are ways to fix them. They’re vinyl, after all. 3) They don’t sound nearly as good as the CD. I’m guessing that the $50 record player you bought at Costco isn’t going to stand up next to the $100 CD player that you bought at Best Buy, or even a $50 CD player from Costco. 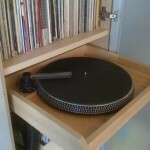 I build this out of an old turntable platter, VPI record cleaner nozzle, and a 1hp wet/dry shop vac! You don’t need to spend a million dollars on a turntable, but you need to know what you’re doing. They’re not “plug and play” like a CD player. These days you can get more for your money by buying a used ‘table from the 70s or 80s that will generally perform better than most of the ‘tables you can buy new for under $200. Don’t forget, the ‘table itself is only half of the equation. You have to know what cartridge (stylus) to buy for it, and you need a specific phono input on your stereo. You can’t just plug it into the extra CD input. Once you have everything in place, you’ll need to learn how to align the cartridge to track at the optimum angle and how to set the weight of the tonearm. Don’t be scared off, though. It’s not rocket science. The best thing about the digital world that we live in is the INTERNET! You can find everything you need to know about vinyl online. Now go out and BUY SOME MUSIC!